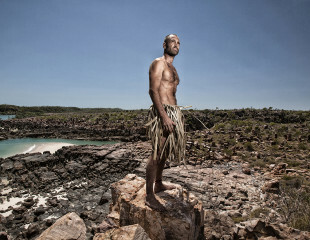 Former British Army Captain, Ed Stafford was the first person ever to walk the length of the Amazon, but surviving completely alone on a desert island is his biggest adventure yet. Can he last 60 days on an uninhabited Fijian island with absolutely nothing? No survival tools, no rations, no clothes, no film crew. It’s a daunting challenge and nobody’s ever done it before. In fierce tropical heat he has only hours to find water before dehydration ends his attempt before it’s started. He must master the island – and his fears – to find food and water, light fire, build a proper shelter and progress from mere survival to the point where he could live there forever. Filmed entirely by Ed himself, there has never been a more authentic survival series on TV.